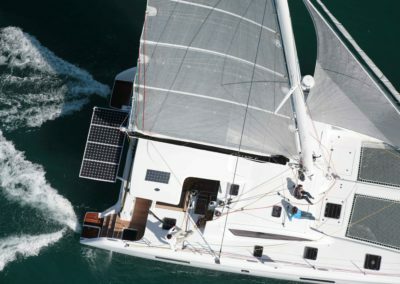 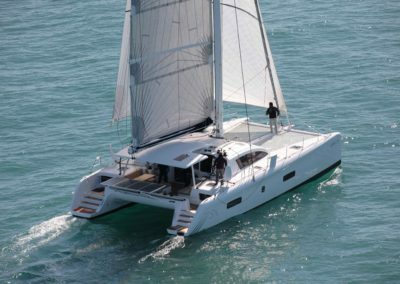 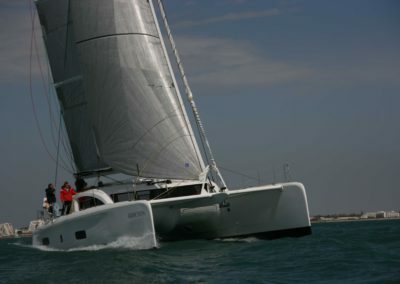 Outremer Catamarans created the premiere long-range cruising catamaran and their flagship yacht – the Outremer 5X catamaran. 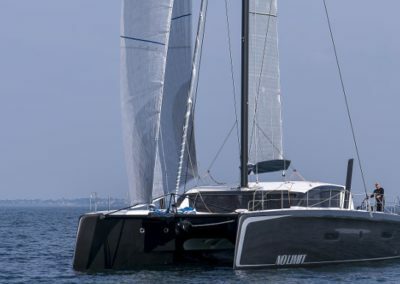 The Outremer 5X has won European Yacht of the Year for 2013 and Cruising World’s Best Multihull over 50Ft for 2014, solidifying her place among the best long-range cruising catamarans on the water. 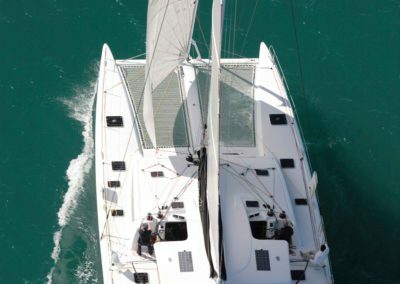 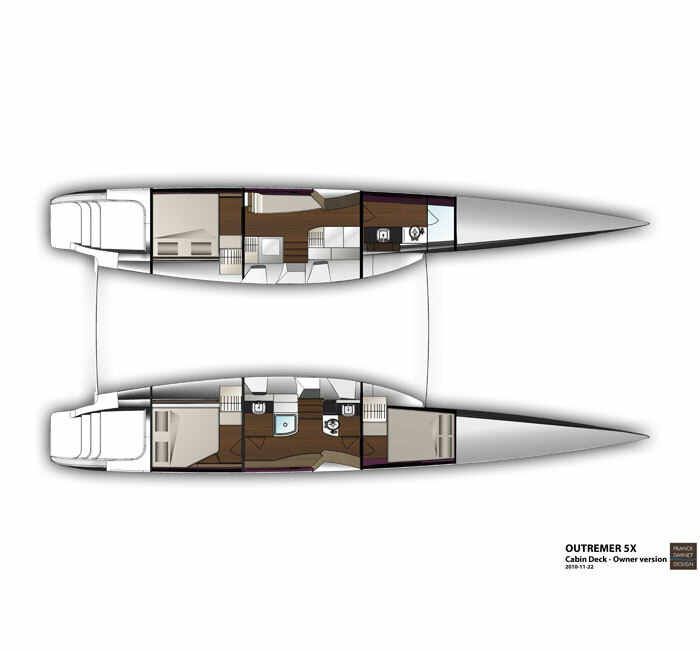 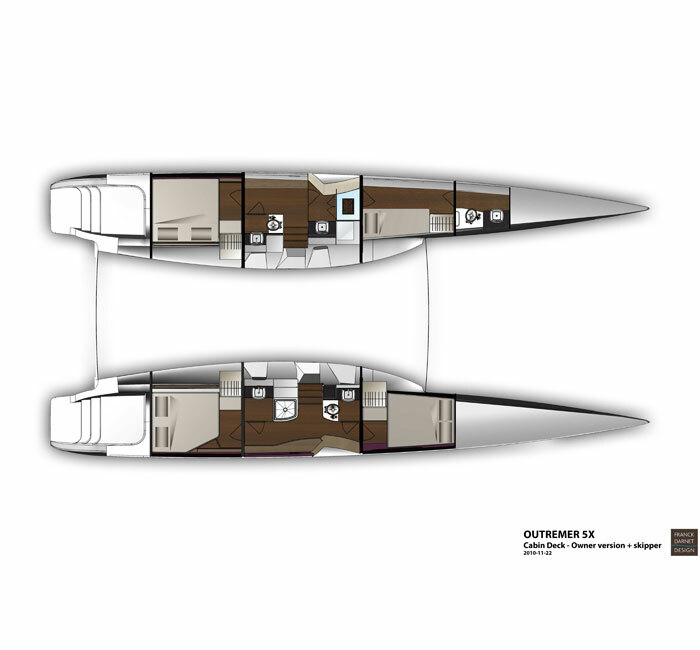 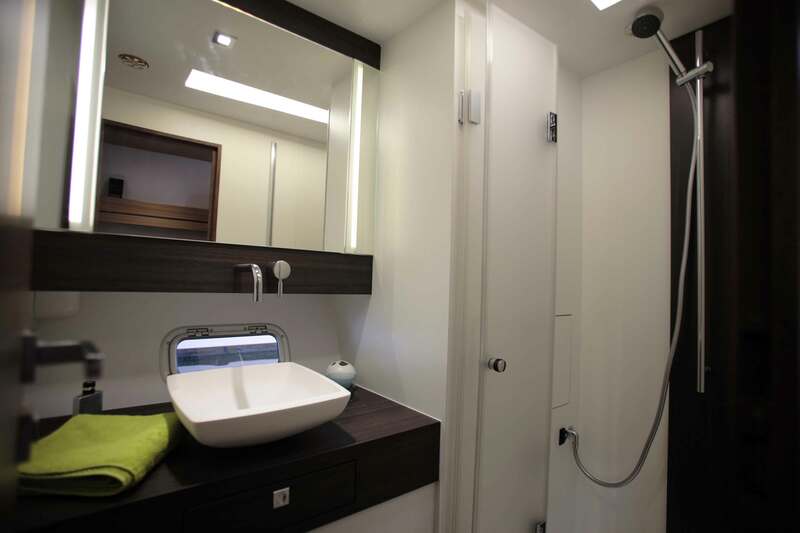 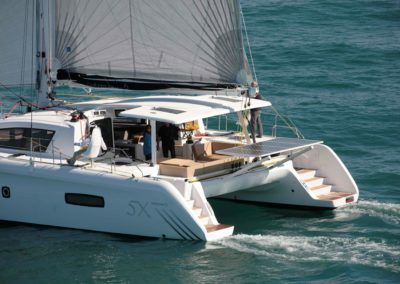 The 5X is unlike any other large performance catamaran on the market. 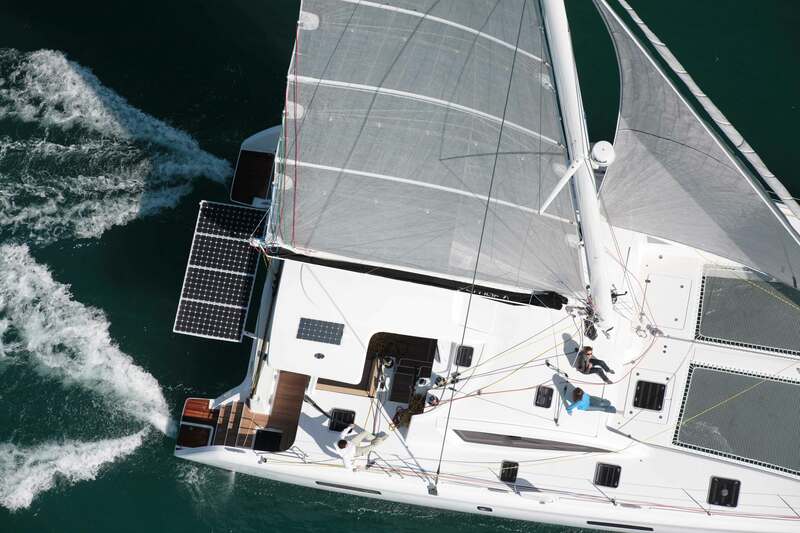 At a length of just under 60ft and a width of nearly 29 feet, the Outremer 5X is a fast, powerful, and seaworthy yacht with finely finished cabinetwork, spacious accommodations and with excellent payload carrying ability. 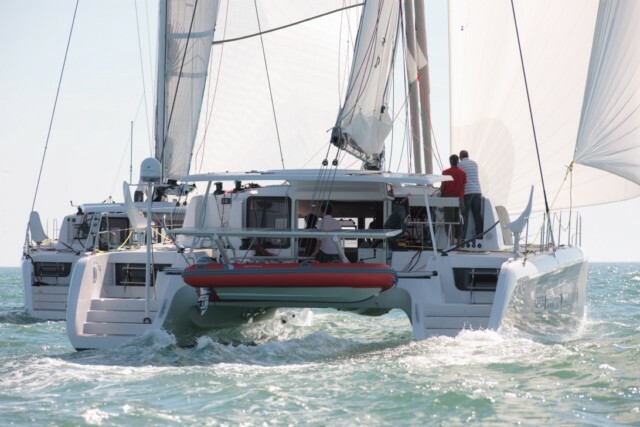 Setting a new standard by pushing the ergonomic principles of the Outremer 49, the dream team has created a fast and agile catamaran, whose deck is so well organized that even a single person can handle every maneuver. 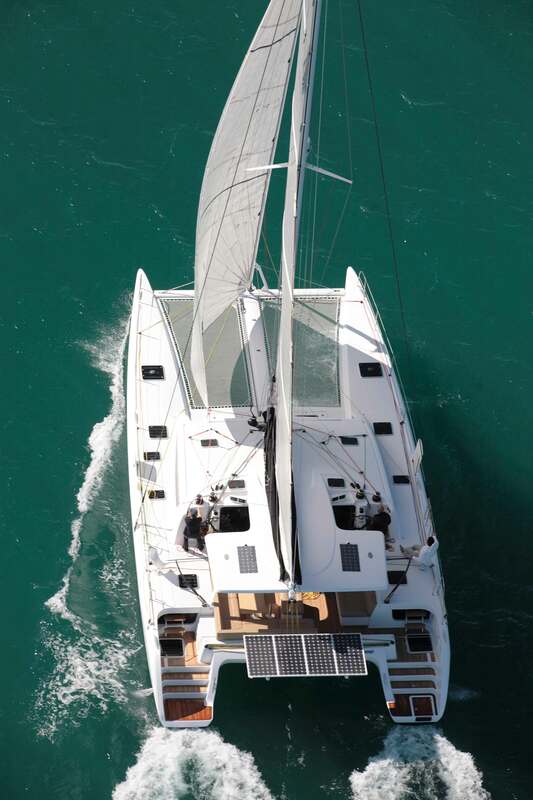 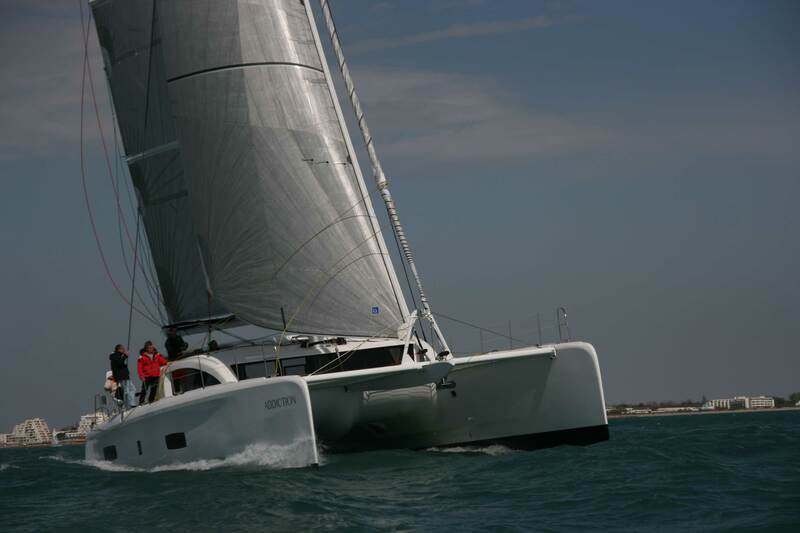 The Outremer 5X catamaran is presently the largest high performance multihull with optional tiller steering. 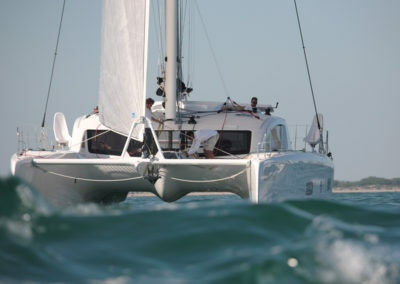 This provides not only thrill and fun at the helm, but also the best feedback and steering control imaginable. 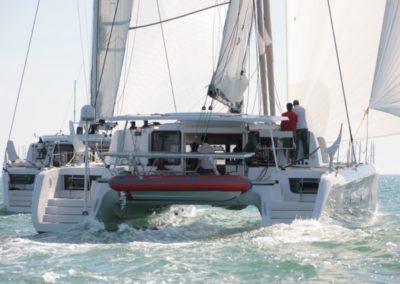 Retractable, high aspect ratio daggerboards assure not only great pointing ability when sailing upwind, but also a shallower draft which permits access to even the smallest and remote anchorages. 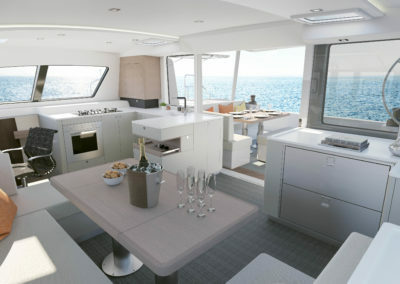 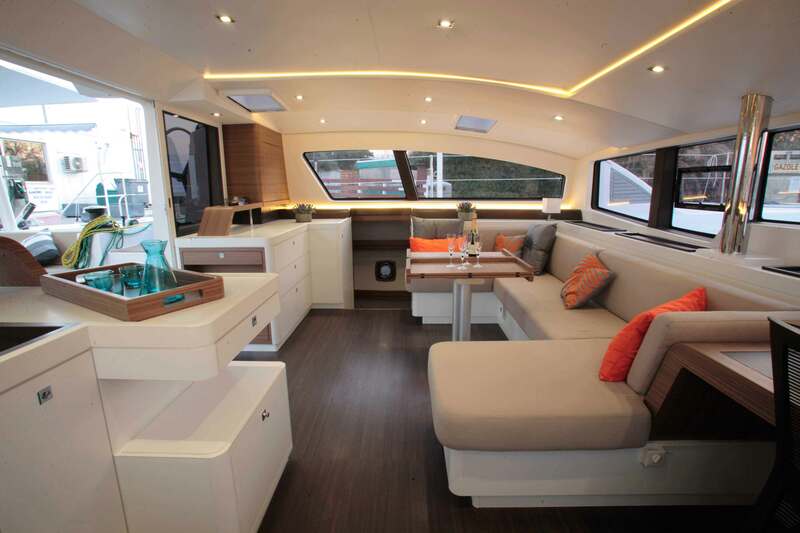 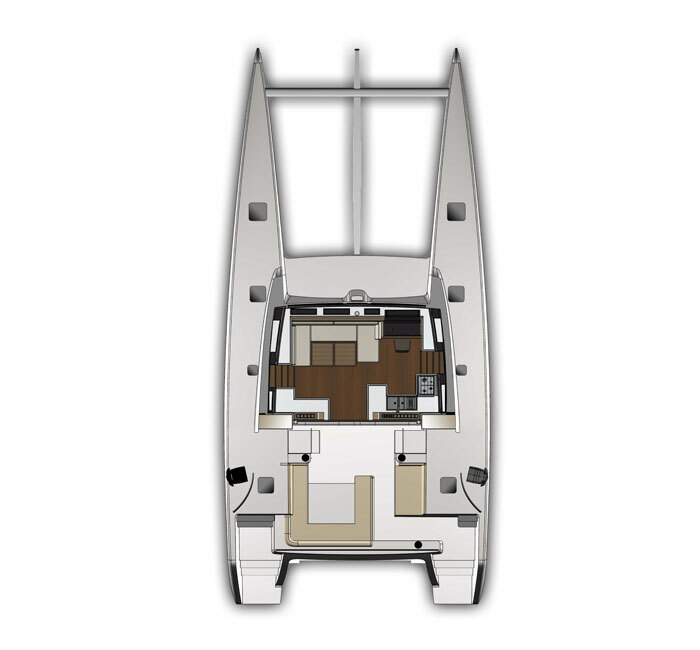 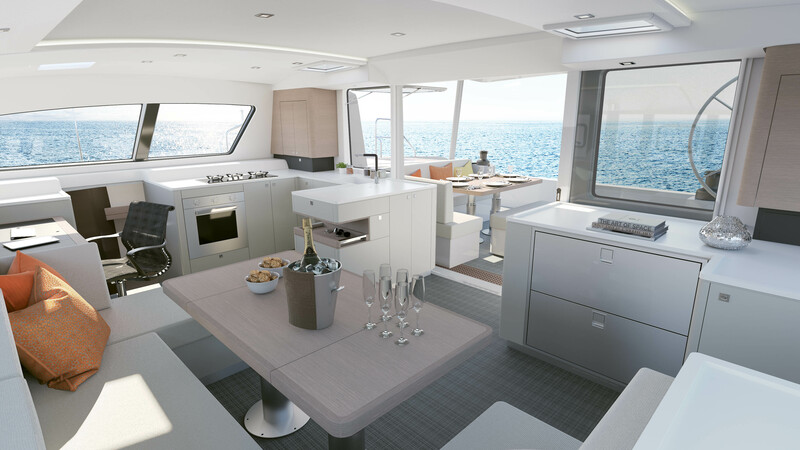 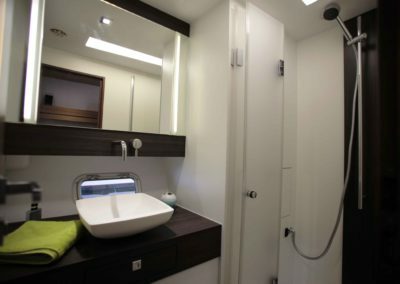 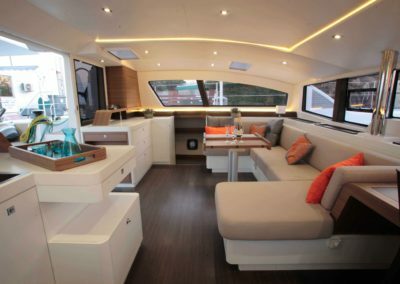 On the same level as the saloon is the cockpit, fully protected from the elements by her innovative composite bimini, effectively allowing it to become an open extension of the living area. 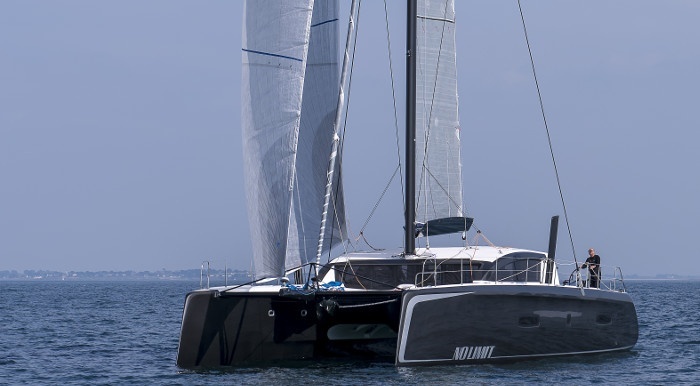 Sensitive to the slightest variations in the wind the Outremer 5X is almost always equal to or surpassing the true wind speed – a result of the creative collaborations of her dream team.